Any true goalkeeper or Danish national team fan will instantly get goosebumps when seeing this iconic pattern again. 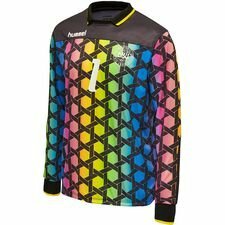 hummel has taken the iconic hive pattern, which Peter Schmeichel wore back in the early 90’s, and launched it again while also making some few extra products. The hummel 92 Pack is a tribute to the 1992 European Champions. Denmark won the European Championship for the first time ever, and something that many of us might remember, besides Denmark winning, was Peter Schmeichel and his iconic and colourful hive goalkeeper shirt. hummel has made a remake of the iconic goalkeeper shirt to tribute this achievement. 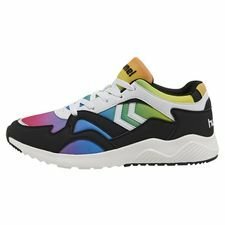 Furthermore, hummel has also made 2 sneakers with two cool and different styles, and with a touch of “we are the champions” vibe. The Schmeichel goalkeeper shirt comes with the same design and colours as the original from 1992. Furthermore, hummel has also placed the Danish FA and hummel logo the same placed, while the iconic number 1 is printed on the front and back. The sneakers both take inspiration from the goalkeeper shirt. The Marathona ’92 sneaker is a subtler tribute and comes in white with the gradient print on the midsole. 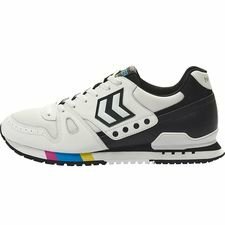 The sneaker is made with a retro look, while the upper is made from white mesh, nubuck and leather and features an EVA midsole and rubber outsole. The second sneaker, named Edmonton ’92, pays its respect to the ‘90s in a more festive way. 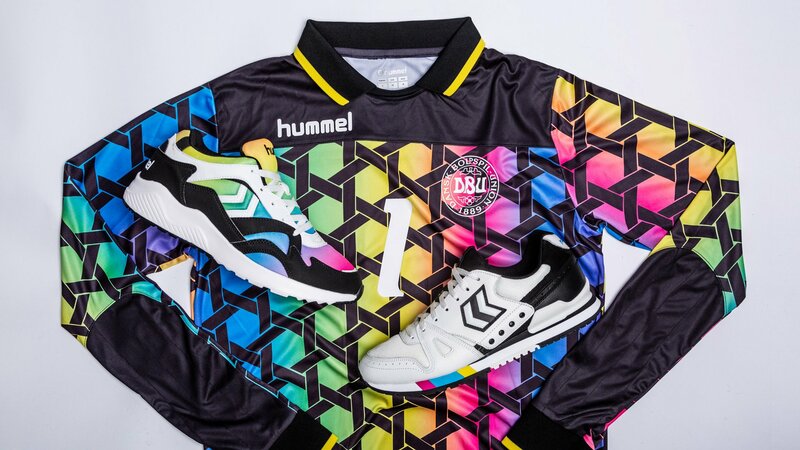 The iconic colourful design is placed on the whole sneaker, and it’s a awesome way hummel has combined the goalkeeper shirt with the sneakers. The sneakers are also made with a mesh upper with leather details, while the silhouette comes with a moulded EVA midsole and rubber outsole. Do you just need the hummel ’92 Pack collection? The order it at Unisport already today!